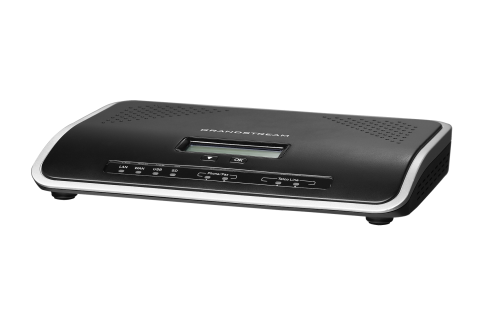 The Grandstream UCM6202 IP-PBX is an excellent phone system designed for small business offices, start-up business and remote offices. This model includes all the features of big business systems - with-out extra costs to enable those features! Sound like a big small business on the telephone - right out of the box. When paired with Grandstream Zero-Configuration IP phones, you can simplify and unify your office telecommunications with remote office extensions and mobile device app (Free GrandStream App for Android and iPhone) to stay connected when out of the office. Supports up to 500 users and 30 concurrent calls. Auto Discovery and Zero Configuration of GrandStream SIP endpoints. 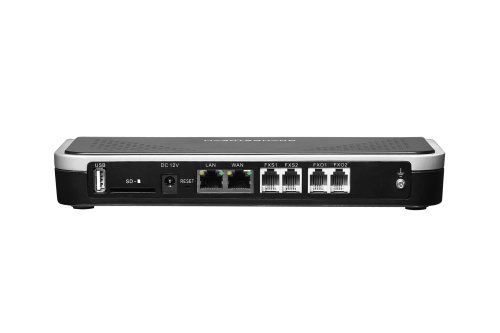 Integrated 2 PSTN trunk FXO ports, 2 analog telephone FXS ports with lifeline capability and up to 50 SIP trunk accounts. Gigabyte network ports with Integrates PoE, USB, SD card. Supports up to a 5-level IVR (Interactive Voice Response). Built-in call recordings server; recordings accessible via web user interface. Supports multi-language auto-attendant and call queue to efficiently handle incoming calls. Strongest possible security protection using SRTP, TLS and HTTPS encryption. Supports GrandStream Integrated IP Phones + any SIP video endpoint that uses the H.264, H.263 or H.263+ codecs. Call Center - Includes Reporting Statistics, multiple call queue methods, automated call back, Agent Management, Agent monitoring: whisper / listen / call barge. Fax monitoring / internal fax to email solutions and extension user webGUI faxing capabilities. Confernce system built in - with scheduling and automatic attendee email reminders, conference room codes for admins and attendees, conference room live recording. Supports VoIP (Voice-Over-IP) SIP Trunks and Analog Telephone lines for expansion. Automated regular back-ups to storage devices or offsite server. SAVE on your local and long distance telephone costs when using VoIP - Voice Over IP Trunk Line Service. The GrandStream UCM6204 - IP-PBX Phone System is an excellent telecommunication system for small business who need the extra 4 line PSTN/FXO capacity. The GrandStream UCM6208 is an 8 line (PSTN/FXO) IP-PBX phone system with support for 50 VoIP / SIP Trunks for growing business. 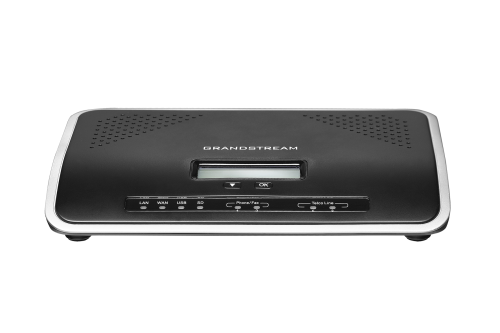 The GrandStream UCM6510 is an IP PBX appliance for E1/T1/J1 networks that brings easy-to-manage and customizable Unified Communications. The Grandstream GXP1782 is a 10/100/1000 Gigabit/Gigabyte small business IP phone with high speed network dual port capabilities. The Grandstream WiFi GXP1780W is a wireless network IP phones which is ideal for small businesses - no additional network wiring required! *All Prices are subject to change with-out notice. Copyright© 2017 Canada - ORE-Office Resources & Equipment - OREweb.ca®. All Rights Reserved.